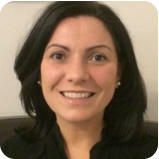 Leticia is a fully accredited Clinical Psychologist and a Registered Psychologist of the Psychological Society of Ireland. She has worked in Ireland as a Psychologist since 2007, when she had her qualification validated by the HSE.Her main area of expertise is in Counselling, Psychotherapy and Cognitive Behavioural Therapy (CBT). Her primary focus is working with adults and adolescents. She is specialised in the treatment of Depression, Anxiety, Fertility, Sexuality, Relationship Problems, Panic Attacks, Anger Management, Traumas, Bereavement and Grief among others.